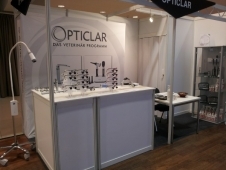 OPTICLAR forges in to Europe by attending the Vet Congress in Berlin. 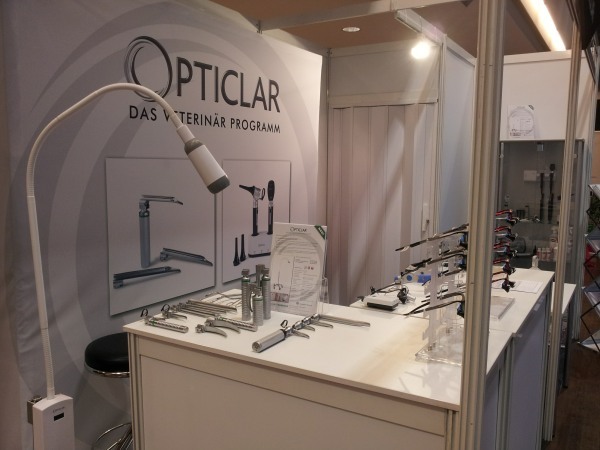 Another successful show recruiting new distributors who appreciate the different features the OPTICLAR range brings to the Veterinary market. 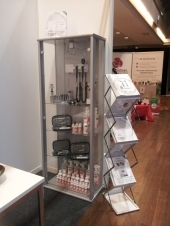 The Vet Congress provided the perfect opportunity to showcase our new Flexi 10 Examination Light. This innovative light has a on-contact infra red on/off operation. By simply making a movement within 2cm of the infra red unit located on the mobile stand the light can be easily turned on or off significantly reducing the risk of infection. Brightness and focusing can be adjusted directly at the thermally-insulated light head, which remains cool to the touch throughout operation. The light also incorporates a dual-function power supply with both mains and rechargeable Lithium modes, recharging in 6 hours to give 8 hours operation at maximum brightness.